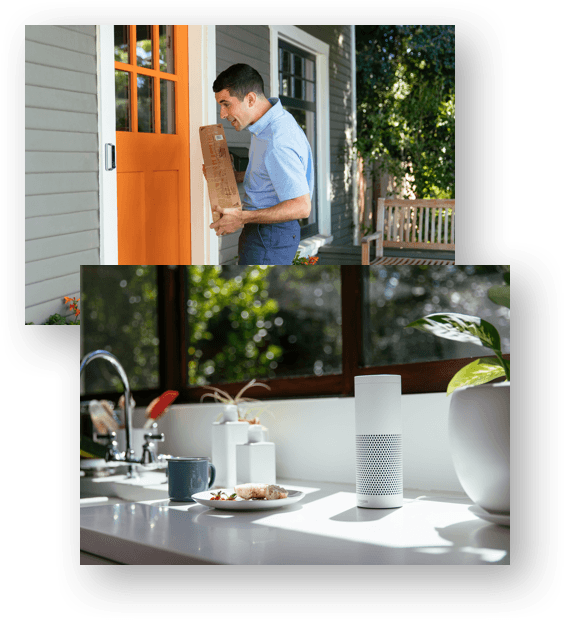 No matter where you live in Vegas—anywhere from Summerlin to Henderson—you’ll be covered with Vivint Las Vegas’ wide range of available home security equipment and home automation features. When you consider that 19,260 property crimes occurred in Las Vegas in 2015 according to the FBI, it’s easy to see that protecting your home with a security system is an excellent bet in helping maintain the safety of your household. Curious about the most popular Vivint home security product among Las Vegas locals? Door/window sensors are a favorite, thanks in part to their ability to trigger alarms or alert you if you’ve mistakenly left open a door or window. Other security features, like carbon monoxide and smoke detectors, serve to alert you early to potential hazards. Plus, every Vivint home security system brings you 24/7 monitoring by trained Vivint professionals. Call now at 1-877-811-8349 to get Vivint. What Does a Typical Vivint System Include in Las Vegas? You’ll have plenty of Vivint security equipment to choose from when you live in Las Vegas, NV. A few customer favorites include the ping camera, outdoor camera, Vivint smart sensor, and the Element Thermostat™. Home security features like these combined with user-friendly home automation features like Vivint Sky™ mean your home will be both secure and streamlined. Plus, Vivint makes it easy to start using your security system right away—no matter your budget. 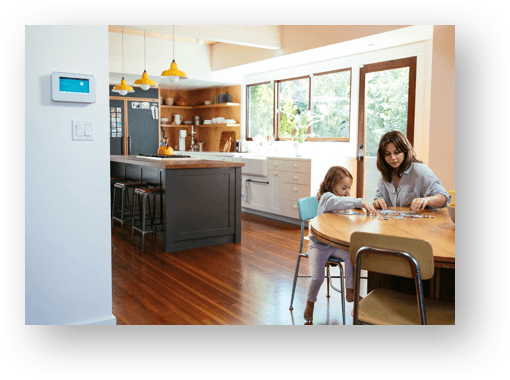 In fact, you can get a complete smart home system for under $2 a day from the #1 smart home services provider in the U.S.
For pricing options that fit almost any budget, there’s Vivint Flex Pay. Flex Pay lets you pay for your equipment upfront without a contract or pay it off over 42 or 60 months for 0% APR. Visit our Flex Pay Pricing Tool to build a security system from scratch and discover your personalized Vivint cost. It’s not about just keeping up anymore. With Vivint’s wide variety of intuitive home automation equipment, advanced security technology, and sleek designs, your dream home is at your fingertips. 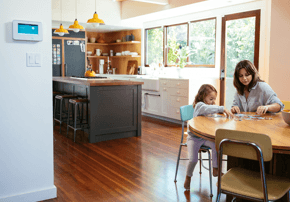 Vivint smart home automation features will help you run your household like clockwork. SkyControl technology is designed to record your daily habits and adapt to your routine, giving you a truly personalized smart home experience. Do you typically turn up your thermostat in the morning or turn off your nightstand lamp at 10 pm? Vivint Sky takes notice and adjusts. And after you’ve spent a long day on the golf green or a night out on the Strip, it can be a true comfort to return to a home that is automated precisely to your tastes. Fully integrate home automation equipment: Nest Thermostat, Element Thermostat, Amazon® Echo, Doorbell Camera, Automated Door Lock, and more. How Can I Get Vivint Home Security Installed in Las Vegas? With Vivint Las Vegas, installation is a breeze. As soon as you track down the home security system that best fits your lifestyle, it’s installation time! Vivint offers free professional installation* and $0 activation. A Vivint specialist will guarantee everything is in working order, so you can start enjoying your home automation services almost immediately. Plus, in Las Vegas, there’s no law requiring you to register your alarm with the city to prevent false alarms, so once you’re set up, you’re good to go. Call 1-877-811-8349 to get a free quote today! For a personalized quote, enter your details in the form. A Vivint expert will give you a call to help you navigate costs, discover available limited-time offers, and take advantage of the most up-to-date Vivint specials. Or call now at 1-877-811-8349.